How many times have you seen that on your social media to-do list? I did some digging on the subject of why people “Like” and “Engage” with brands on Facebook, and found a great study by market research company Lab42. The top reasons people “Like” a brand on Facebook are promotions/discounts (34% of respondents) and free giveaways (21% of respondents), respectively. And the top reason people said they interacted with a brand on Facebook is to print off coupons. I’ve put these stats to the test with our customers, and see the real results that a contest can bring to a Facebook Page. In this post I’ll discuss the top 7 returns on investment (ROIs) I have seen our customers achieve by running contests that make them their secret weapon for engagement on Facebook. When you run a great contest that is attractive to your target market, be sure to like-gate it. What is like-gating, you ask? Like-gating is when a potential entrant must ‘like’ your Facebook page in order to take part in the contest you are running. The answer I would say is “no”. Why? 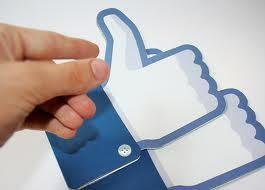 If your contest resonates well with your market, a simple ‘like’ to your page will not lead them away. In fact, if the contest really connects, your potential entrant would be more than willing to take the extra step in liking your page. The contestant may even feel a closer emotional bond with your brand by your ask. A contest that connects is good marketing. Contests are a great way to increase your Facebook likes. 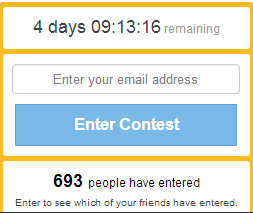 Contests are a marketer’s dream in some ways. They provide an exciting event, with a limited time frame. A limited time frame creates scarcity. Scarcity is a great way to generate motivation in a consumer. You can also create scarcity by offering a limited number of prizes. Observing this first hand, it is really quite amazing how excited people can get about a whole myriad of products when limitations are set. A brilliant example of boosting traffic we have seen at Wishpond is by Diamond Candles. 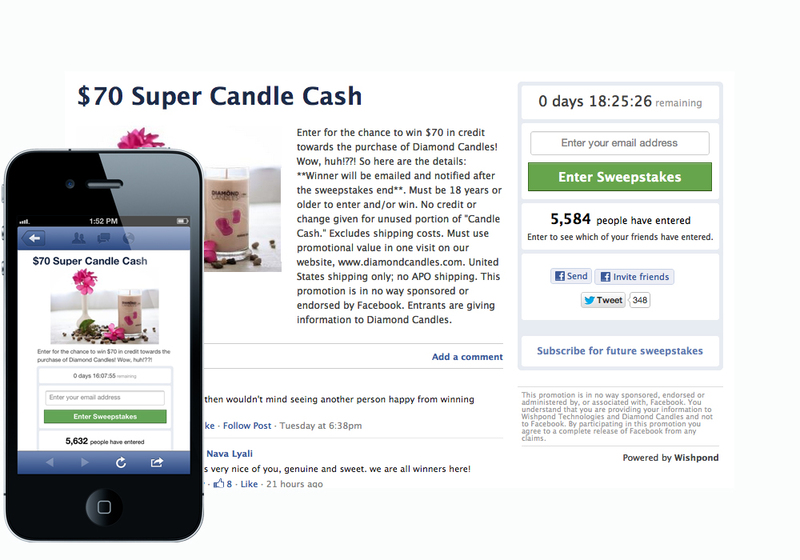 Diamond Candles used Facebook sweepstakes to gain over 30,000 new fans in less than 6 weeks. Diamond Candles sells candles with real rings in the bottom. They ran weekly facebook sweepstakes, giving away - candles. In less than 6 weeks, they exceeded expectations for gaining an enormous amount of Facebook likes - generating over 30,000 new fans. Not only that, but they created a bit of a social phenom. Facebook pages have been popping up from excited Diamond Candles fans, and organic growth of videos with excited customers getting to their ring are now abundant. This is brilliant marketing, using Facebook contests to increase traffic, and drive sales. Read the Diamond Candles case study. Go ahead and capitalize on contests, with limited engagement opportunities. It will boost traffic to your Facebook Page. Facebook contests, like Photo Contests, Video Contests and Essay contests can produce valuable user-generated content (ugc). User-generated content is content that is created and uploaded by your users, or Fans. Let’s take a photo contest, for example. 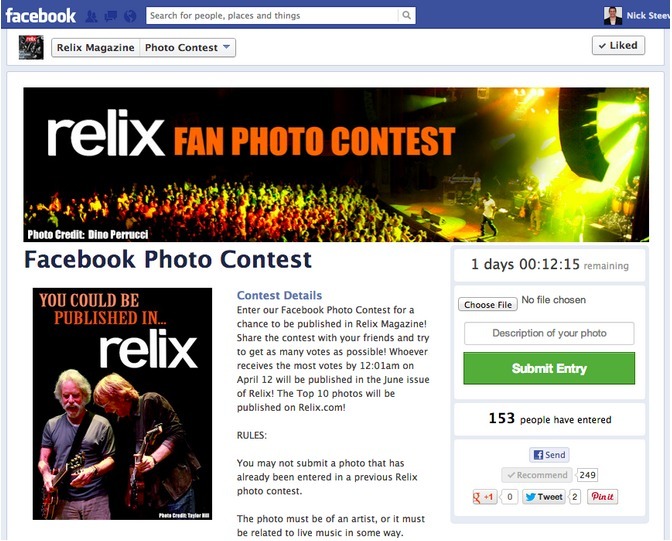 One of our customers, Relix, hosts photo contests on their Facebook page. Relix is a top music information source online, and they have a printed magazine too. They run facebook contests to increase engagement with their Facebook fans, and generate excitement about their Page. Knowing the wants of both their readers and their magazine, they run photo contests. The magazine wants good, authentic photos of live music. Their readers want to show the cool concerts they were at, and the unique photos they can take. They create a theme for their photo contest by asking for live music related content. The top ten photos get to be published in their next magazine. Their ongoing contests have generated a tremendously engaged following. Their Facebook fan base is now over 50,000, and they regularly have over 8,000 fans interacting with their page in one way or another. Additionally, by collecting this ugc, they are able to share the photos with their Fans and subscribers, creating very real and authentic content. The fans can feel very connected to the Relix brand. Brilliantly, Relix has given the opportunity for their own fans to be a part of the brand - and be featured in the rock star magazine. Facebook contests such as vote contests engage your target market. You are, after all, asking your market for their views and opinions. I may be off on this one, but in my experience, people generally like to express their views and opinions. What do you think? If you can make your contest really resonate with your market, your contest will increase interactions on your Facebook page. In the example, below, a toy store wants to increase engagement on their Facebook page. 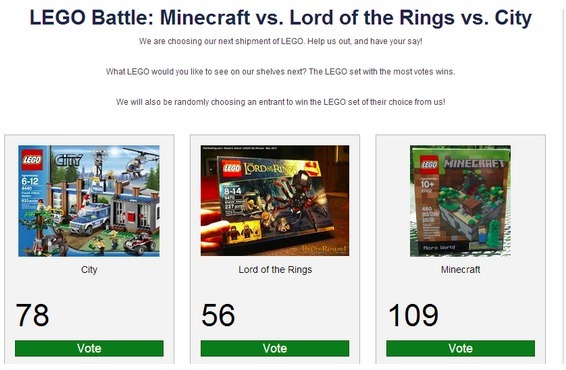 Additionally, they are cleverly marketing their products and generating excitement for their soon to be shipped LEGO sets. By targeting this contest to interested customers, the store increases engagement by asking for opinions. Additionally, because they are using Wishpond vote contests, anyone who votes will automatically post about the contest on their Facebook wall. This increases engagement to friends of friends. An ultimate goal of any great social media marketing plan is get your campaign shared and to go viral. This is not so different than marketing campaigns of old. The more your marketing campaign is shared - whether through word of mouth or various forms of media - generally, the better your success. Social media is all about sharing. With interactive Facebook content like contests, F acebook sweepstakes and group deals, your brand can get shared - a lot. Create a contest that is relevant to your brand, has an element of fun or excitement, and gets your community interested. Make it easy and fun to engage. Your consumer will share it. On third party apps like Wishpond’s, once a contestant enters, a post is automatically sent to their Facebook wall, which spreads your contest to friends of your fans. Friends of your fans are likely your target market too, as they are friends and share some interests. This makes your contest have the very real potential to go viral. Contests create dialogues between your business and your consumers. Contests on Facebook make is easy to get friends talking to friends about your brand. The expression ‘word of mouth’ rings very true in social media. Facebook is a place where friends go to talk to each other. Create an interactive contest with, make it authentic, make it resonate, and you will be talked about. All kinds of businesses, from multi-million dollar productions to the local mom-and-pop shop are realizing the benefits of running Facebook contests. Below is an example of the hit TV show on A&E, “ Storage Wars”. They are hosting a photo caption contest (disclosure - not using Wishpond apps, but they could be…) on their popular Facebook page. 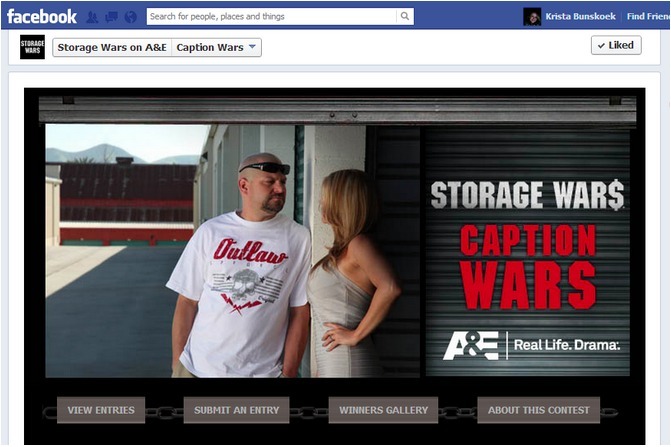 The Storage Wars Facebook page has over 35,000 fans talking about the page. The more interactive your posts are on Facebook, the more conversations they will garner. Contests hit the mark on generating interactive content. Contests can create engagement long after the excitement has passed. 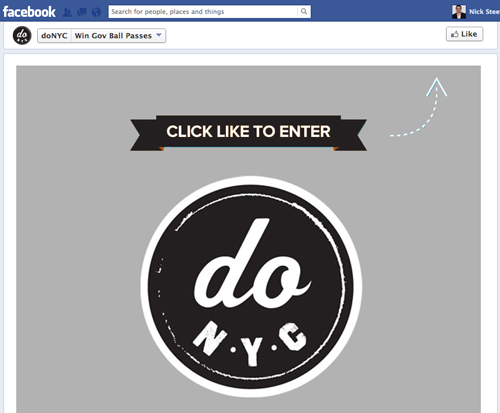 Collect entrants’ emails, or “email-gate” your Facebook sweepstakes. A good third party contest app, like Wishpond, enables you to easily see and categorize all of the emails you collect. Wishpond’s Contact Database lets you export your customer information too. Check out a previous article I wrote on How to Get Email Leads with Facebook and Twitter Contests for more tips. So what will you do the next time your social media to-do list is comprised of “increase engagement”? Give a Facebook contest campaign a try, and let me know how it goes. The future of social is changing how we interact. Are you engaging digitally with your consumers? Wishpond social promotion apps make it easy. Get interacting with vote contests, photo contests, video contests and more on Twitter, Facebook, Pinterest, mobile and more.